Today we review the shareware tool for remote access to USB devices. We rather often need to use contents and functionality of devices we cannot access physically. So, the software solves these problems. FlexiHub (www.flexihub.com) enables remote access and management of USB and serial ports over network. It does not matter where devices are actually located – across your office cubicle or overseas. 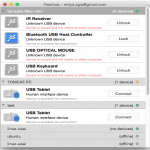 FlexiHub works on Mac, Windows and Linux. 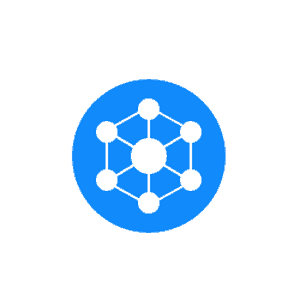 FlexiHub lists all computers in the network as remote nodes, and you can access devices connected to them as if they were inserted directly in your computer. FlexiHub allows connecting and disconnecting devices remotely – without your physical presence at the other end. Encrypted communication protocol ensures your data remains safe and protected. FlexiHub automatically detects what type of device is connected – be it a phone, a dongle, a printer, etc. and also uses a special indicator for serial devices. This way you can figure out what device you need to connect to. FlexiHub allows regulating access to shared devices. If required, you can ban access to USB and serial ports on your Mac; they won’t be listed for other users to access. Comprehensive sharing technology – USB and serial ports of network computers can be shared with other users remotely. Secure data transfer – thanks to 256-bit SSL encryption your data remains protected no matter where you are. Private communication server – your computers do not need a real IP address to share data. Data compression – to increase the speed and minimize the traffic consumed. Access regulation – to restrict access to devices plugged into your machine. Conclusion: As we can see, Flexihub is a great tool for remote access to multiple USB devices all over the world. Single account allows you to get all advantages of remote access.